Details about each of the “Super Rare” M.U.S.C.L.E. figures can be found in History 300. The goal of Philosophy Philosophy 200 is to examine the mysteries that surround these figures in addition to presenting theories about the source and cause of “Super Rare” M.U.S.C.L.E. figures. These are Blackhole Sunshine (BHS), Spinning Head Ashurman (SHA), and Dr. Bombay. These figures are more difficult to obtain than a Class B, Class C, or Gamma figure. They tend to be similar to the difficulty of obtaining a Class A figure, although they carry a higher price tag because they carry with them far more mystique. However, they are not nearly as difficult to obtain as an Alpha figure. It is debatable whether Dark Emperor should also be included in this class of figures. His frequency of appearances has certainly increased over the years, but not at the same speed as the three previously mentioned figures. While currently not a Beta figure, it is probable that Dark Emperor will someday soon be better classified as Beta. 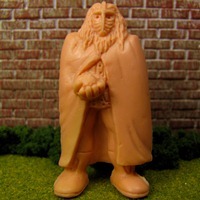 Because of these figures omissions from the M.U.S.C.L.E. posters and unquestionable M.U.S.C.L.E. authenticity, they have been designated Non-Poster Beta M.U.S.C.L.E. figures. In 2007, Soupie put together a very through list of fourteen of the popular hypotheses that had been offered over the years. That list is recreated below, with commentary regarding the feasibility of each of hypothesis. The Non-Poster M.U.S.C.L.E figures aren’t authentic M.U.S.C.L.E figures. This seems incredibly unlikely for the Beta figures. Numerous examples of each figure have appeared and numerous collectors have authenticated the figures. The Non-Poster M.U.S.C.L.E figures are really Japanese Kinnikuman, or some type of Japanese Kinkeshi, that were sold in Japan and coincidentally were made of M.U.S.C.L.E. plastic. This also seems incredibly unlikely for the Beta figures. With so many occurrences and many American collectors offering childhood testimonies it seems incredibly likely they were originally released in Japan. The Beta figures were likely released in only North America. The Non-Poster M.U.S.C.L.E figures were only released in Canada. While this theory is popular with Class A poster figures, it seems less likely for the Beta non-poster figures. For a long time it seemed like the Buffalo/Upstate New York area had the stranglehold on all Super Rare M.U.S.C.L.E. figures – as many auctions seemed to originate from there. However, over the years the figures have been discovered across North America. The Non-Poster M.U.S.C.L.E figures are M.U.S.C.L.E figures that were produced as prototypes and/or salesman samples. 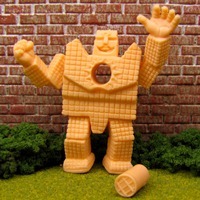 The Non-Poster M.U.S.C.L.E figures were exclusive figures available through the Nestle Quik Promotion. It is possible that some Beta figures were included in the promotion, similar to any other Flesh poster figure. However, there have never been any sealed Beta figures found in the Quick packaging. Additionally, each person that has spoken about M.U.S.C.L.E., because of their professional association with Mattel or the toy industry in the mid-1980’s, stated that cross-promotion exclusives as a collectible had not become that evolved. Many of them have stated how M.U.S.C.L.E. served as the first example of a collectible toy. It was only as sophisticated as offering the poster. All the aspects of collectability and exclusives have evolved since M.U.S.C.L.E. The Non-Poster M.U.S.C.L.E figures are regular M.U.S.C.L.E figures that were recalled due to small parts. This was another very popular theory, especially when SHA and BHS were the only two “Super Rare” figures. However, with the discovery of subsequent “Super Rare” figures the theory seemed to lose some popularity. It was also discovered that a government recall, due to small parts, had not been issued during the time M.U.S.C.L.E. figures were released. It is possible that Mattel discontinued production of BHS and SHA because of their small parts for a variety of reasons. Evidence of an external recall of BHS and SHA, or any M.U.S.C.L.E. item, by Mattel has not been discovered. Bandai produced M.U.S.C.L.E figures and kinkeshi Kinnikuman sculpts, belonging to parts 15-26, at the same time – which could account for Non-Poster M.U.S.C.L.E figures being produced in M.U.S.C.L.E. plastic. 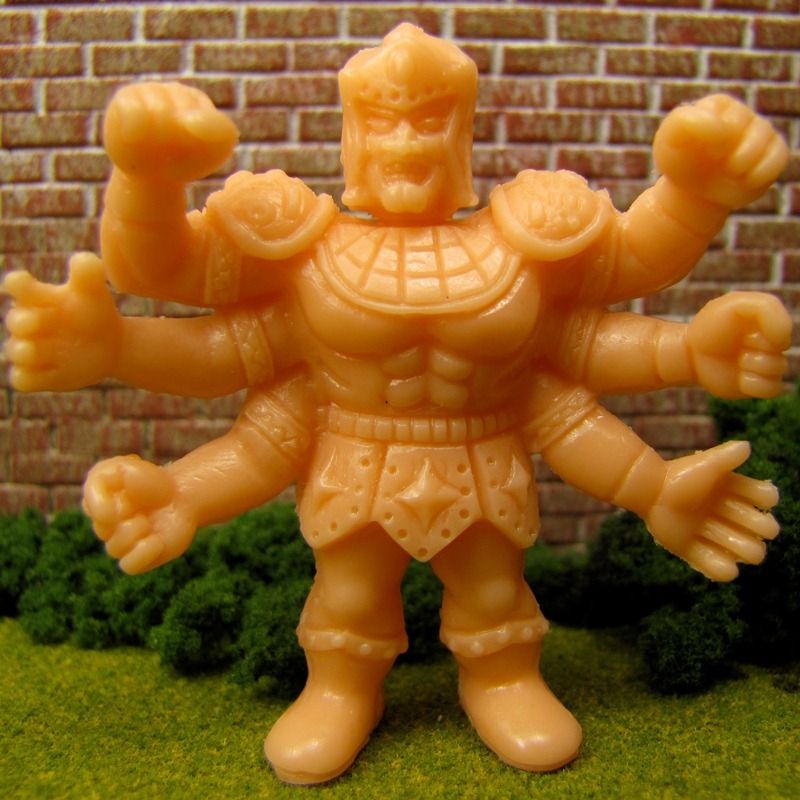 The Non-Poster M.U.S.C.L.E figures are the result of molds damaged before and/or during M.U.S.C.L.E. production. This seems like a very simple explanation, and it could be possible for one or two figures – unlikely for all the Non-Poster figures. Sadly, it would be almost impossible to confirm this hypothesis. By all accounts, Bandai no longer has the molds. It would take the astounding memory of a Bandai factory worker. Even if that worker existed it seems even less likely they would remember a singular mold/tool be damaged at work over 20 years ago. The Non-Poster M.U.S.C.L.E figures are the result of molds being plugged incorrectly resulting in M.U.S.C.L.E. plastic flowing to them, filling properly, and producing figures. Similar to the theory above, this would be difficult to ever fully confirm. However, there does seem to be some anecdotal information that suggests this as a possibility. First, the figures were made using injection molding. When casting it is possible to plug certain sections of the mold to prevent filling or to direct the plastic in a different direction. Because Mattel’s M.U.S.C.L.E. plastic is different than Bandai’s kinkesi plastic they may have discovered certain problems. It is possible that certain parts and trees were creating errors and/or problems. Discontinuing certain figures would have been a simple solution. The Non-Poster M.U.S.C.L.E figures are the result of a miscommunication between Bandai Japan and Mattel America. the Mattel/Bandai relationship will never fully be understood. It is known that Mattel saw M.U.S.C.L.E. as only a flanker brand to He-Man and a chance to effortlessly attempt to capture the success of another Japanese export – Transformers. Because Mattel had very little design and creative input in the toys, it is not unrealistic to believe the passion was also missing from the project. A few lackadaisical communications may have opened the door for a few early mistakes (e.g., Beta figures). The Non-Poster M.U.S.C.L.E figures are the result of an assumed second wave of Flesh M.U.S.C.L.E figures that were quickly replaced by a second wave of colored M.U.S.C.L.E figures. This could be viewed as part of the theory above. However, it is important to separate it given the state of Mattel during the mid-1980’s. While Mattel had a huge success with He-Man, the company was financially in trouble and in 1987 it “maximized its core brands and tried to identify new core brands.” Mattel leadership likely saw the writing on the wall before 1987 and wanted to do everything possible to minimize costs. Releasing a second wave, of the same figures in new colors, was likely the easiest and most cost effective solution for the M.U.S.C.L.E. brand. It is possible the original plan had been to release new figures, which is why some figures were made – but only in limited quantities because production was cancelled. 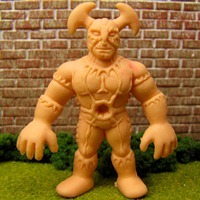 The Non-Poster M.U.S.C.L.E figures were produced at the beginning of the line when Bandai and Mattel planned on releasing all Kinnikuman sculpts as M.U.S.C.L.E figures. Later, it was decided not to make every sculpt into a M.U.S.C.L.E figure. This theory does not work for all Non-Poster figures, but seems very plausible for the Beta figures. The Beta figures appear in such a high quantity, when compared to other Non-Poster figures, that one if almost forced to assume large scale production took place at some point. The Non-M.U.S.C.L.E. sculpts are a result of a Mattel/Bandai licensing issue, resulting in some Non-M.U.S.C.L.E. 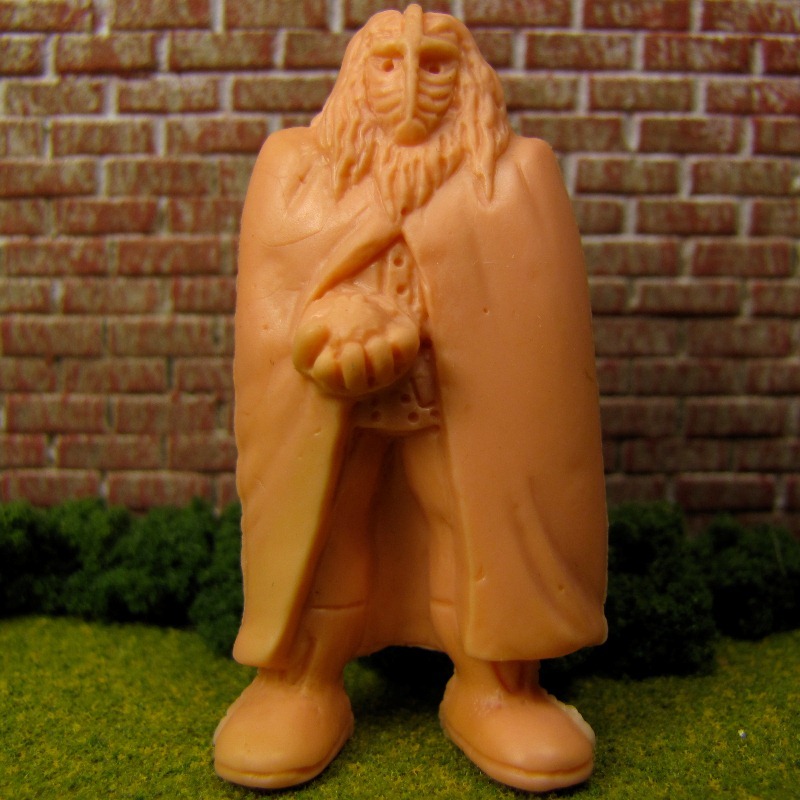 sculpts mistakenly being made into M.U.S.C.L.E figures. Again, this theory could likely be validated or disproven by Joe Morrison. Until then, it seems possible but not very probable. As M.U.S.C.L.E. was only a flanker brand Mattel would not have wanted to engage in any behavior that could potentially have a negative litigious outcome. There is not one single correct overriding theory for all of the Non-Poster M.U.S.C.L.E. figures – each figure, or Class of figures, is instead the result of parts of several theories. Potentially each Non-Poster figure has its own appropriate theory. This is likely the most realistic scenario. While Non-Poster figures are able to be grouped together for a variety of reasons, they may each be the result of several unconnected actions. This entry was posted on Tuesday, February 15th, 2011 and is filed under Philosophy, Research, UofM News. You can follow any responses to this entry through RSS 2.0. You can skip to the end and leave a response. Pinging is currently not allowed. The possible reason for the large quantity of rare figures originating in the Buffalo region is they were heavily stocked at the local Gold Circle stores and Hills stores. I remember my grandma and parents buying my sister and I loads of them from Gold Circle. History & Philosophy Updates « University of M.U.S.C.L.E. 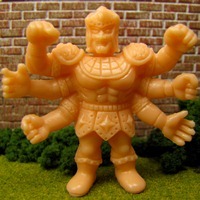 Non-Poster M.U.S.C.L.E. Figures - Alpha, Super Rare figures | University of M.U.S.C.L.E. Dr. Bombay & M.U.S.C.L.E. Figures in Movies | University of M.U.S.C.L.E. 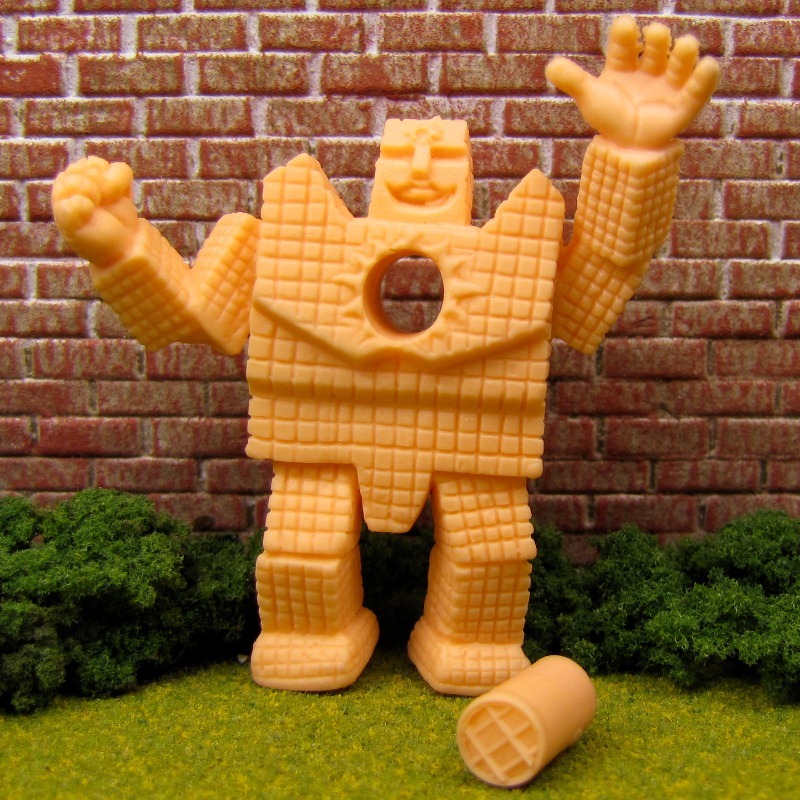 Auction Watch #91 | University of M.U.S.C.L.E. Editorial: The M.U.S.C.L.E. Rule of Two (MRT) | University of M.U.S.C.L.E. M.U.S.C.L.E. FAQ's - How Many Figures In a M.U.S.C.L.E. Set? | University of M.U.S.C.L.E.